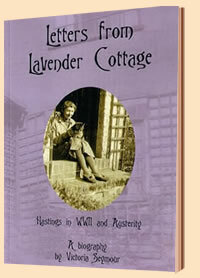 If you enjoy WWII history on the home front and the secret pleasure of reading someone's private letters, then Letters From Lavender Cottage- Hastings in WWII and Austerity is for you. 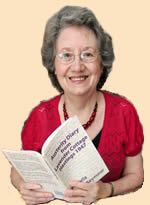 The book tells of the domestic hardships inflicted on the Hastings, England populace as a result of war, along with personal comment, biographical detail and pictures. Canadian relatives come to the rescue of Lavender Cottage occupants, sending food and comforts to the household during harsh and austere times. The story of the three elderly ladies, who live in the cottage and cope with post war shortages is heart-warming, funny and touching.